I love it when clients are up for making an extra effort to do something awesome!! 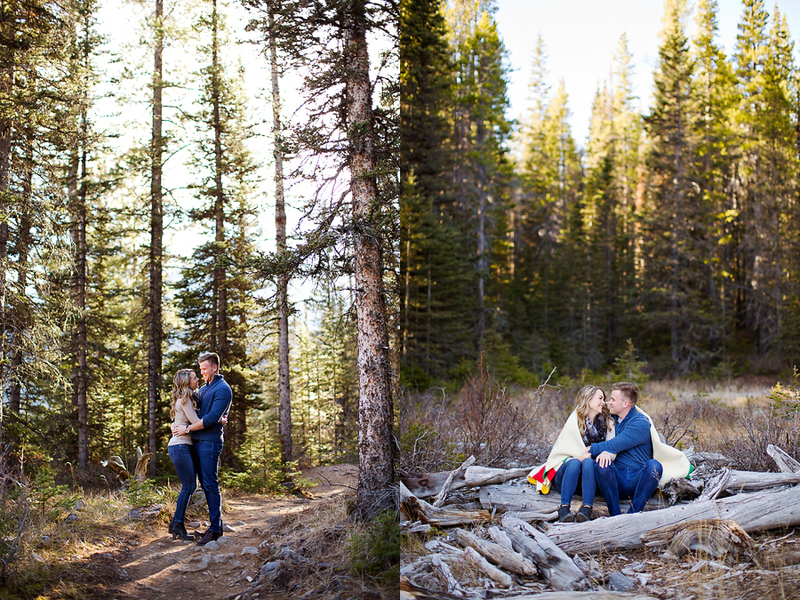 We drove out to Kananaskis and explored the beautiful Upper Lakes area. We were super lucky because it can be REALLY windy there, but it was a super calm and beautiful day(even though the forecast called for snow). They also brought along a Hudson's Bay Blanket--which her parents received as a wedding gift back in the day. It has long been on my wish list. That and a Pendleton blanket. Happy to have it to play with at a session.